When getting a new computer, most of the users tend to add all their important and favorite things into it at the first time. But the transfer process may not be that easy for everyone, what if I want to transfer iTunes library from my old computer to the new one? In this article, we provide three methods for you, there must be one which you will like. It is such an easy way for you, that you can just e.g. connect your USB driver with your old computer, and you get to the iTunes folder which can be found at C:\Users\computer name\Music\iTunes (for Windows), if you fail to find this folder, click iTunes icons on the desktop, and check it path. Then copy or import your iTunes folder to the USB driver, and you can use this USB to transfer files to your new computer, is that really easy? Have you ever heard of Home Sharing function of iTunes? This method is base on a same network of diiferent computers. Open iTunes on your old computer, File>>Home Sharing and then turn this function on. In this process you are required to enter your Apple ID and password, as well as you need to authorize your new computer. After those steps, you can share all your iTunes files to another new Mac from your old PC. When having new things users may also sync them to their iPhone, iPad, or iPod touch. Thus we can use Tenorshare-iCareFone to achieve this function. After we snyc the iTunes files (Music) to iOS devices, we can then regard it as a external device. 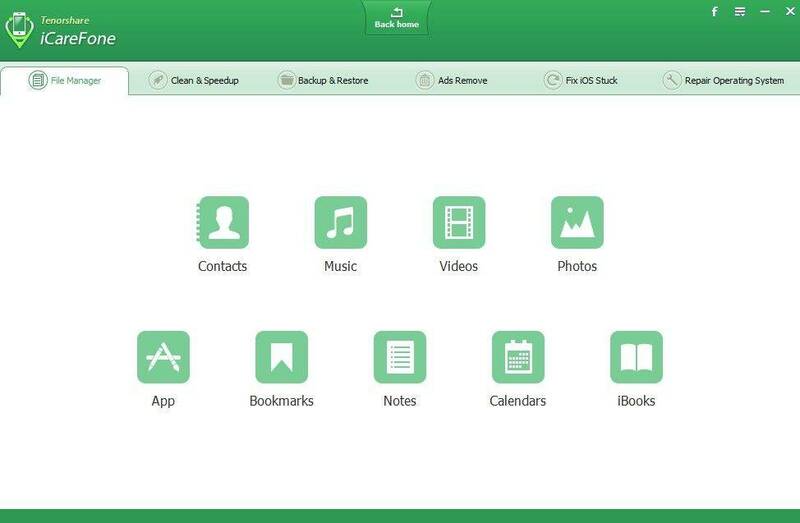 And iCareFone can help us to transfer its music files to our new computer as well as other types like contacts and photos. Choose one of these three method, or you can have a try by using all these three. Enjoy and learn from this article, and transfer can become so easy for us.